I got a few comments on my original article from Flipboard and Twitter that touched on details I thought were interesting and worth bringing back to the site. Before diving in, thank you to all reached out, and I hope to hear from you again. 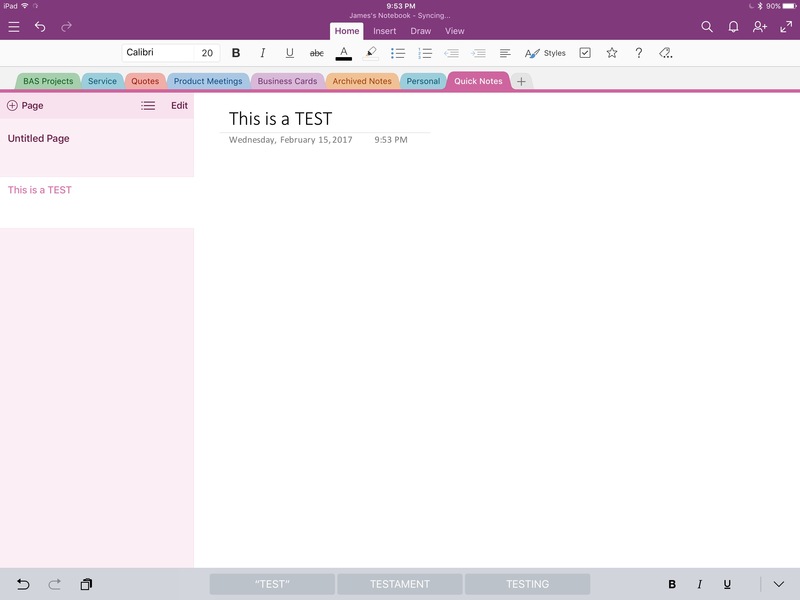 First off, the consensus among users I interacted with was that OneNote has a really strong feature set, especially considering that it’s free to use on iOS. However, the responses were mixed on sync performance. Most reported that it worked great for them, but a few others had similar experiences to me. Any app, especially one as flexible and widely used as OneNote can work great for most users, while the bugs and pitfalls hit the rest of us. Considering the widely positive reviews of the app, my experience is more likely an outlier. However, after problems strike a couple of times, the old saying applies- “Once bitten, twice shy.” However it is good to bear in mind that BOTH can simultaneously be true. 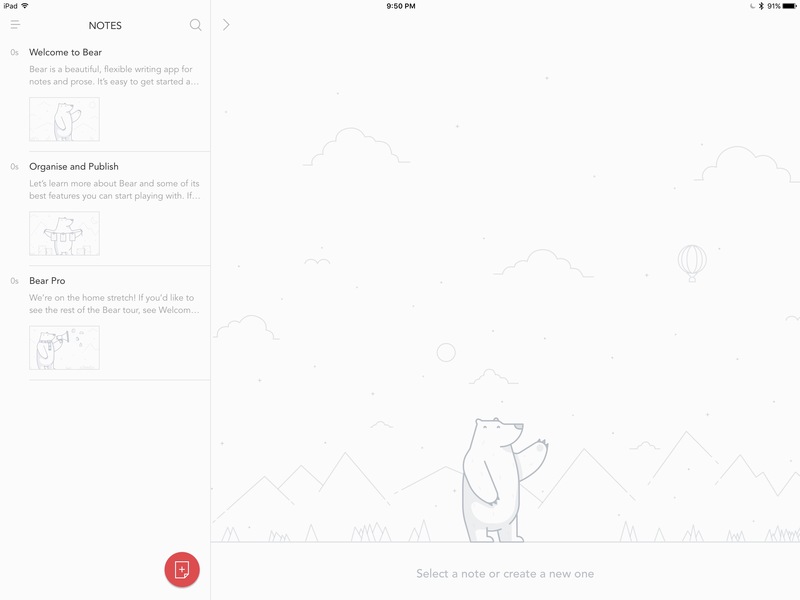 Second, I had several commenters mention the relatively new note taking app Bear. I have to admit that one slipped by me on its way to the App Store. However, it has garnered a fair amount of acclaim since its release early last November, including an App Store Editor’s Note from Apple on its App Store page. After reading the comments and a few reviews, I am going to give it a go myself. I’m not thrilled about paying for the ability to sync, but at only $1.45 monthly, I’m not going to complain too much. Evernote Premium was more expensive and I paid for it for over a year. I will post my own review of how Bear stacks up against iOS Notes and Notability in the near future. One of the last comments I got came to my Twitter account (jhrogersii), and was the most interesting of all of them. The commenter also mentioned the Bear app, and that he had switched due to recent sync issues with iOS Notes. I have never been affected by any sync issues with Notes, and frankly hadn’t heard anything about this, so I was intrigued. When I asked him what he was referring to, the gentleman sent me a link to a forum thread at macrumors that detailed iCloud sync issues that evidently plagued a LOT of people for a long period of time. It was pretty eye-opening. It looks like these problems have been cleared up for most users in recent iOS updates, but such an issue calls into question one of my primary points about going back to iOS Notes. I made a big deal about how dependable it was. My exact quote was, “It NEVER fails.” Well, I guess that’s not entirely true. At least not for all iOS users. If you are a user of Bear and have some good tips as I get started with it, or if you were also affected by Apple’s recent Notes sync issues, I would love to hear from you. Feel free to give me a shout in the comments section below, on our Flipboard page, or on Twitter @iPadInsightBlog or @jhrogersii.